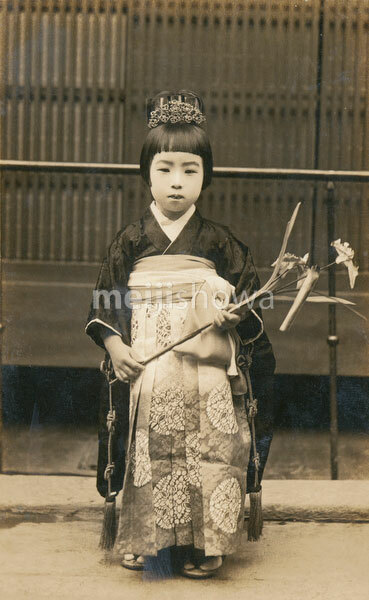 Japanese girl celebrating Shichi-Go-San (七五三), a traditional rite of passage for three and seven year-old girls and three and five year-old boys, held on November 15. Shichi-Go-San is said to have originated amongst court nobles in the Heian Period (794-1185). By the Meiji Period (1868-1912), the practice was adopted amongst the general population and included visiting a shrine to wish for a long healthy life and drive out evil spirits.